I should probably add that it’ll make you more money, but I’ll let you be the judge of that. 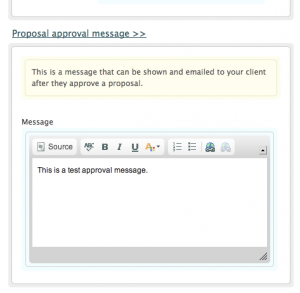 Your client will now be able to see any message you want once they approve a proposal. 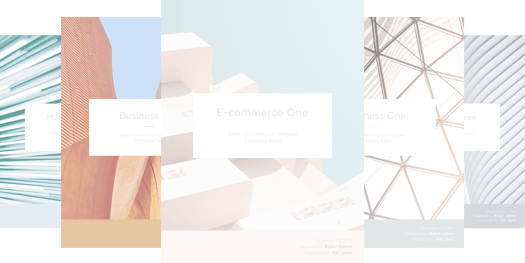 This can be very powerful because you can create a very clear call to action for clients. 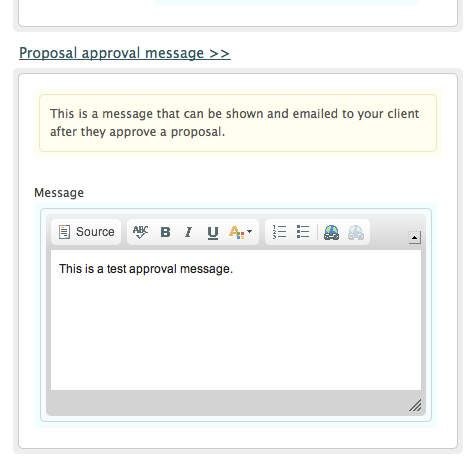 Approval messages can be set at two levels; the account level and proposal level. 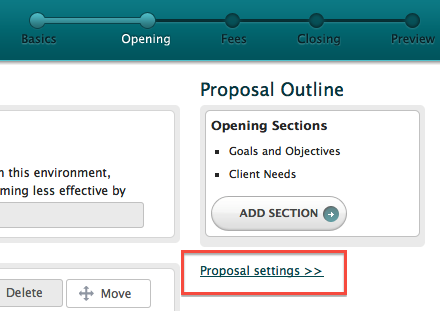 To set a default approval message, go to the Account –> Settings page, then click on the “Proposal approval message” link to enter any message you’d like. They’ll also receive an email with the message in case they need to find it later. The email also gets sent if you manually approve a proposal (instead of your client). And that’s all it takes! 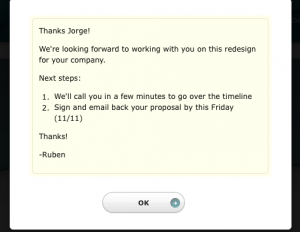 This seriously has the potential to improve the experience for clients and persuade them to take action faster. 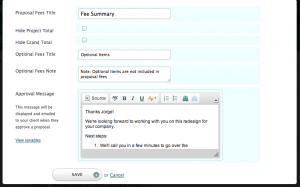 Ever wonder how long your client spent viewing a proposal? 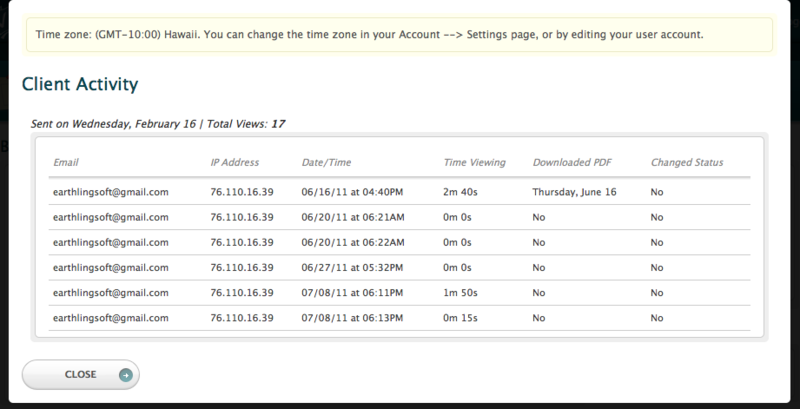 You’ll find a new link called “View activity details” on the proposal detail page which will show you this report. Note: If you’re using a custom design template, please check the bottom of the post for an HTML snippet you’ll want to add for this feature. These two things have been fixed. 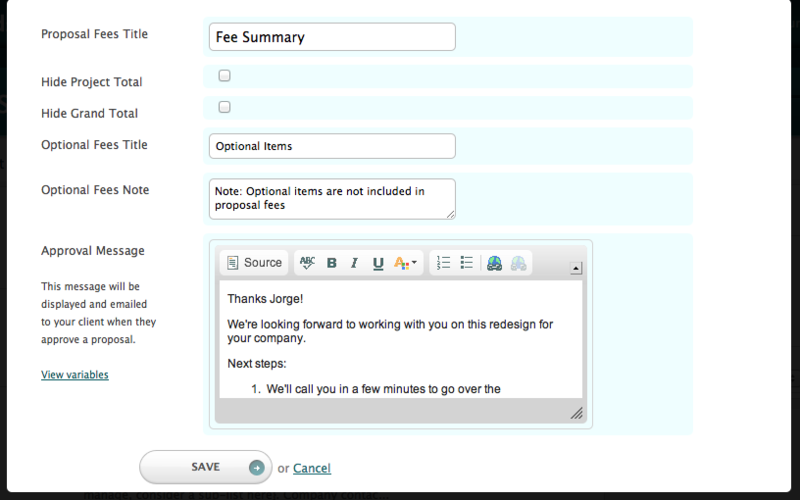 You’ll now always see optional fees in all PDFs and descriptions will be shown when viewing a proposal with a browser. 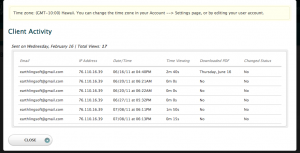 Because of this feature, the “Jump To” navigation links have been removed since they’re no longer needed. Hope you enjoy the update!